Based in Salt Lake City, Utah Covers is a leader in providing you with reliable and high-quality hot tub, spa, and pool covers. With our wide selection of products, services, and options, we are the number one choice for all of your pool or spa cover needs. Our team at Utah Covers has a wealth of experience in the field and has been serving satisfied customers in Utah and the surrounding areas for years. We take pride in our quality products and reliable services and are happy to provide you with personalized and customizable products and services. When you work with Utah Covers, you can expect superior products and excellent customer service, every time. Whether you are in need of a winter cover for your spa or a pool cover to keep debris out of your pool, Utah Covers has got you covered! To find out more about our products and services, please read on below. 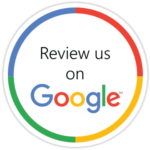 At Utah Covers, we are committed to providing you with reliable customer service and are here for you every step of the way. From helping you to pick out the best cover for your pool or spa to efficient installation, our team will provide you with everything you need. You can rest assured that our pool cover experts will help you to choose the best cover for your outdoor space, based on your budget, lifestyle, and needs. Our team of expert technicians provides fast and efficient installation of your cover. Allow our team to install your cover and walk you through the necessary steps of maintenance and care. Unsure as to what the best brand or color is for your pool or spa? Our friendly staff is here to answer any questions that you may have about your cover. Feel free to contact us here and set up a consultation with one of our specialists. Utah Covers is able to customize your cover and we are committed to providing you with reliable and personalized service. Customize your cover and choose the color that goes best with your outdoor area. Our experts can help you to select the most complimentary color for your backyard sanctuary. When you need your automatic swimming pool cover cleaned or repaired you want it fixed by a trained professional who understands automatic pool cover technology. Not all pool covers are the same, and knowing the different makes and models is our business. Let our knowledge and experience work for you. We take pride in the quality of our work and the products that we sell. We can provide necessary maintenance and service to ensure that you can enjoy your investment for years to come. We Service all manufacturers, makes, and models of automatic swimming pool covers. Our team at Utah Covers has done all the quality control so that you don’t have to. When you purchase from us, you can be sure that we have tested our systems and fabric to provide you with reliable and superior products. We understand that peace of mind is important when it comes to choosing the right pool cover. You can rest assured that all of our products are incredibly safe and reliable. To find out more about each of our products, please click on each product above. Interested to find out more? Our team of cover specialists is always available for you and are happy to answer any questions or concerns that you may have. To speak to one of our specialists or to book a consultation with a member our team, please contact us here today! We look forward to serving you soon!